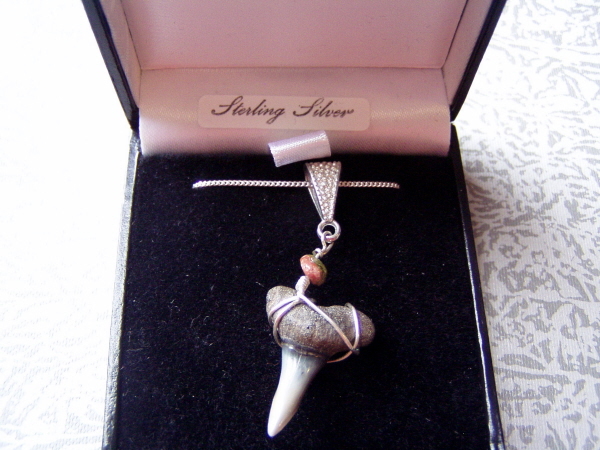 This is a super little pendant and crafted from a gorgeous Lemon Shark tooth strung along with a lovely little green/ pink Unakite bead - from an 18 inch sterling silver chain. The necklace is boxed in a lovely padded velvet lined jewellery box and fully labelled. And dates from the Oligocene and Miocene epoch around 5-28.3 Million years ago..